You can't trust anyone. You lose your mind. You visit a career fair to review your options. Doesn't seem like there is a bright future ahead of you. You also meet a crazy woman with a vocabulary larger than her height who claims to be a detective. You immerse yourself in classes, friends, and an everyday routine. You eat copious amounts of fried chicken and are press-ganged into advertising for a club you're not even in. This is where the game begins. 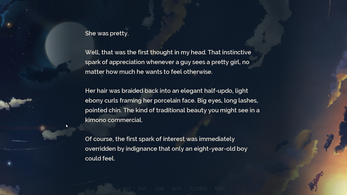 Lucid9 is a visual novel focused on a web of intricate mysteries set in the fictional 2018 metropolis of Isamu. 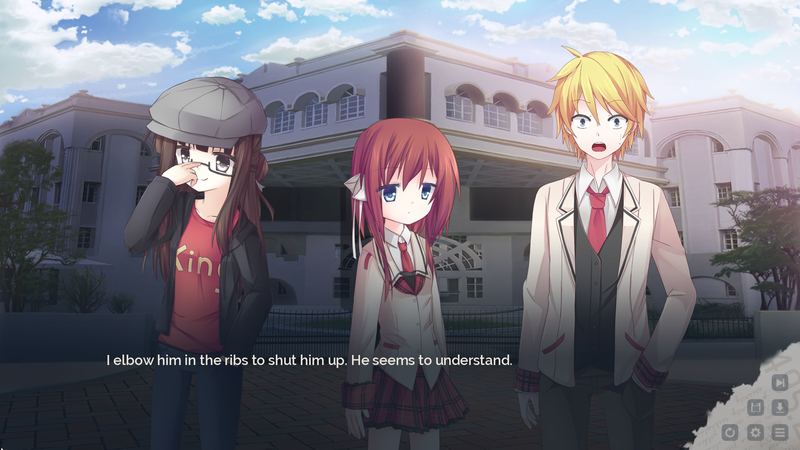 Inciting Incident is the first part of the story, where you play as Yama Ishimoto, a cynical high school student who would like nothing more than to keep his life free of school drama and hard choices. However, he's forced to face his circumstances when an eccentric detective blazes into his life, alerting him of a string of brutal murders at his school. Free Voice Acting patch: All of Inciting Incident will be fully voiced in English by Yin Yang Voices. Recording production has already begun, but it's a deliberate and lengthy process. Consequently, we're aiming to release the patch for the voices in 2017. Second arc of Lucid9: We are currently working on the heroine routes, which will comprise the second part of Lucid9. They will be included in a future patch. There isn't any precise release date for this patch, but we will make sure to share progress regularly with all of you. Do it. Just do it. Great characters, dialogue, art, music, thrills, etc. They haven't abandoned the next part, it's just taking a long time because they want to get it right. This... this is really great. The pacing was good, as the writing and music must have been. Even though we are provided an idea of what the plot is like, it's still unexpected. The psychological aspects are great, too. Are there any updates from the team making this? I'm awe-struck that this is over two years old and yet I've missed it. Does anyone know how to get this game to start on Mac? It says its Mac compatible but I can't start the game after unzipping the file. I open it but nothing happens. My OS is High Sierra version 10.13.6. If anyone figures it out please let me know. Thanks! hey is this purly read or are there choices? There are a lot of choices. For spoiler's sake, you should discover them on your own. I, too, tend to play VNs with female protagonists and found this amazing. 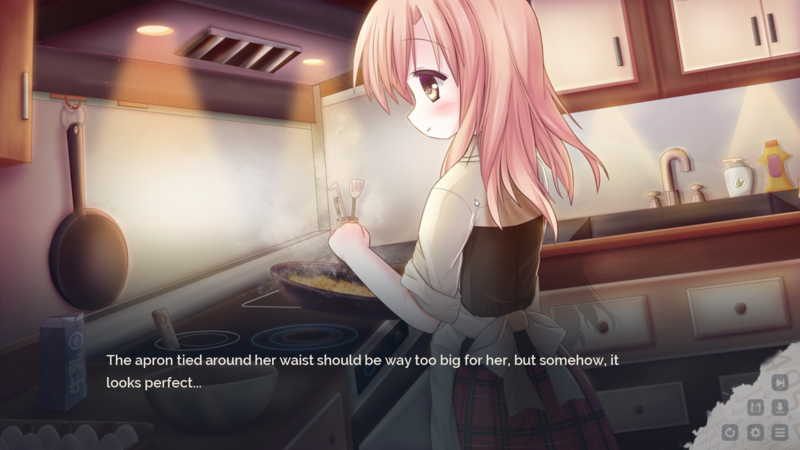 It's probably number two of my three most favorite VNs ever (maybe number one if I get around to re-playing the current number one and finding out if my opinions change). It'd also be great if the second part is free, but it's so rare to see this much quality that, for myself, I'd consider saving up for the sequels. I really hope the team behind this is doing alright. I can't believe this is two years old!! This thing is a rollercoaster of emotions. I loved it. I hope the second part gets released soon! I've just started the game but man if the music is as good as it is right now i'll play it purely to have my ears experience constant ecstacy. I... I... oh please please please... don't back out on the sequel... I'm a-DYIN' here... I keep checking back to see if there's a kickstarter or greenlight request (ie: meaning... it's possible for us, the fans, to help you!). 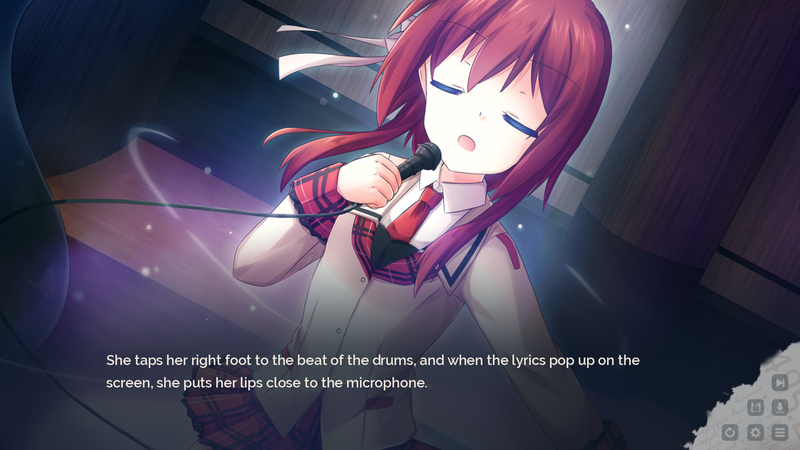 Until now, I've stuck with free VNs and demos of commercial ones. But after this game, I wouldn't mind them being commercial. 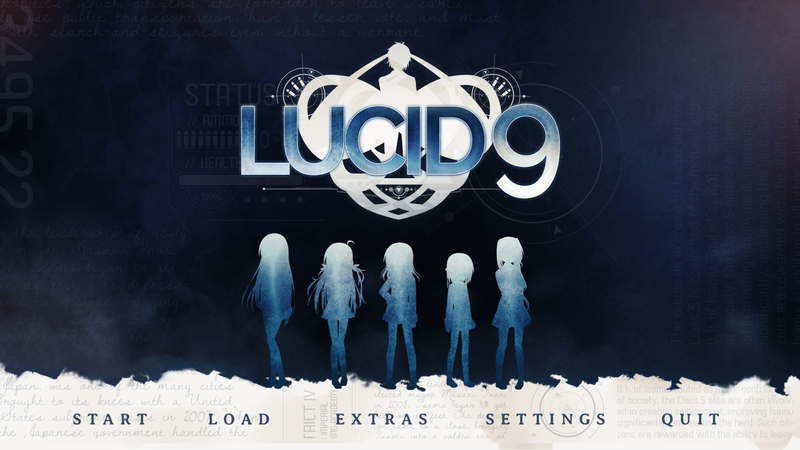 At least, not Lucid9. I probably won't be able to afford it at once, but I'd be willing to wait and save just to support the creators. The writing was pretty good! Is there anyway for me to download this zip in parts rather than all at once? Dude... I didn't even download it yet, I don't even know who that is but I know he dies :( Hopefully multiple endings?? There are plenty different endings.